Home › Kram's Korner - From the Club Level › Who Goes Up? The Phillies Phiasco began last night with the first-inning injury to starting pitcher Jerome Williams. It’s likely he’s heading for the DL. Who will replace him? The Phillies will need a starting pitcher when Williams’ turn comes up again on Sunday at home against the Cardinals. 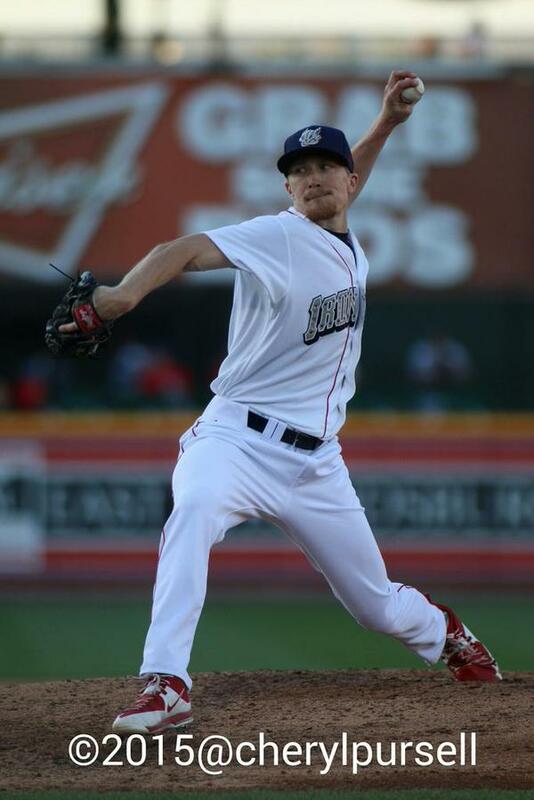 For now, I suppose the to candidate would be LHP Jake Diekman, who has his swagger back and nailed down a two-inning save in last night’s first game/completion. He would add another arm to a bull pen which hasn’t been answering the call, of late. Hector Neris would be the other relief possibility. Chad Billingsley. Chad is due to make another rehab appearance for us on Sunday, but could easily do that with the Phillies–it’s not like we’re worried about winning and losing at any level just now. Severino Gonzalez. He would be “on turn” as well after pitching last night. He threw 93 pitches (63 strikes) in 5 innings last night, scattering 7 hits, with 1 BB, 3 K, and 3 R (2 ER). He’s had a couple turns in Philly already this season. Phillippe Aumont. They could skip Phillippe’s start on Friday and call him up for his first MLB start on Sunday. He’s been our best starter overall, but still loses the strike zone and gets into trouble occasionally. Aaron Nola. I don’t see any way this happens. They’ve been adamant about “sticking to the plan,” and the plan is for him to start for the IronPigs tomorrow. I’m sorry I didn’t notice that the T-Shirt giveaway last night was for KIDDOS. Makes sense with the Report Card promo they’ve been running, and the soccer balls tonight. I hear tickets for Father’s Day on Sunday are selling out–grab some now if you need them. July 4 Bacon Caps are still being promoted as “online exclusive,” but I’m expecting to see a few pop up in the store before or just after they’re worn on the field July 3. If you’ve got to have one, go ahead and order. I’m going to wait and see them in person before committing. Remember, Friday is the LAST DAY for loaded value on season tickets. Get out to the park and buy some stuff! Former Phillie Randy Wolf on the mound for Buffalo tonight. Tyler Henson is batting .542 with runners in scoring position and two outs, as well as .400 with RISP, overall.